"For we do not wrestle against flesh and blood, but against principalities, against powers, against rules of the darkness of this age, against spiritual hosts of wickedness in the heavenly places." There are several elements necessary for a soldier or a military force of any size to be successful. One thing that is needed are the proper weapons. The soldier or military force also needs to be properly trained. Sending anyone into a battle or any type of a hostile situation without the necessary equipment and training would almost certainly guarantee failure. But, even if a soldier or military force has all of the things they need to go into battle and succeed they will still fail if they are not in the right location. To win the victory they have to be in the right place to fight the right battle. The Bible makes it very clear that we have an enemy and that we will face challenges in life. It is a mistake to think that as Christians we will never have problems. It is also a mistake to think that the problems we deal with in life are purely natural. This does not mean that everything we face in life is some demonic problem, but we can be trying to fight our battles on the wrong battlefield. God has shown us in His Word that our enemy, the devil, comes to steal, kill, and destroy. He will do everything that he can to hinder us and cause problems for us as we follow God and live a godly life. God shows us in the Bible that we have been given authority through Jesus and we have been equipped with all that we will need to deal successfully with the devil and anything he tries to do. But, if we think that our problems are just from some current social situation, a political party, or from other people we will be putting our time and effort into fighting the wrong battle on the wrong battlefield. By using our God given authority and focusing on our real enemy we will always fight a winning battle. We need to know our authority and understand how to use the equipment that God has given to us. The goal of my ministry is "To teach and train believers for greater service in the Body of Christ." 1. By teaching the Word of God with simplicity and clarity. 2. By working with Christians to show them how to apply God's Word to their life and by helping Christians in various areas of ministry to better perform their given tasks. Not everyone can go to the mission field but everyone can support missionaries around the world. You can be involved in the work of missions through prayer, financial giving, or both. If you would like to support my ministry financially then you can do so using one of the options listed below. Jim Rogahn Ministries, Inc. is a 501c3 organization. If you would like to donate on-line to my ministry, you can do so by using the PayPal link on this page. Thank you for your interest and involvement in the ministry that God has called me to in Germany and Europe. As you give I pray that God will richly reward you for your generosity. 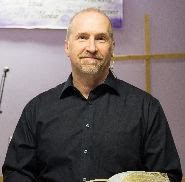 Jim is licensed and ordained through RHEMA Ministerial Association International and currently is a teacher at RHEMA Bible Training Center, Germany and works with the overall ministry of RHEMA Germany and Rhema Europe. He also travels and teaches with an emphasis on helping believers see, through the Word of God, who they are in Christ and how they can live a fulfilling Christian life.